DETROIT - A Detroit rapper has been charged after he regularly bragged on social media and in his songs about how good he is at committing credit card fraud, according to federal officials. 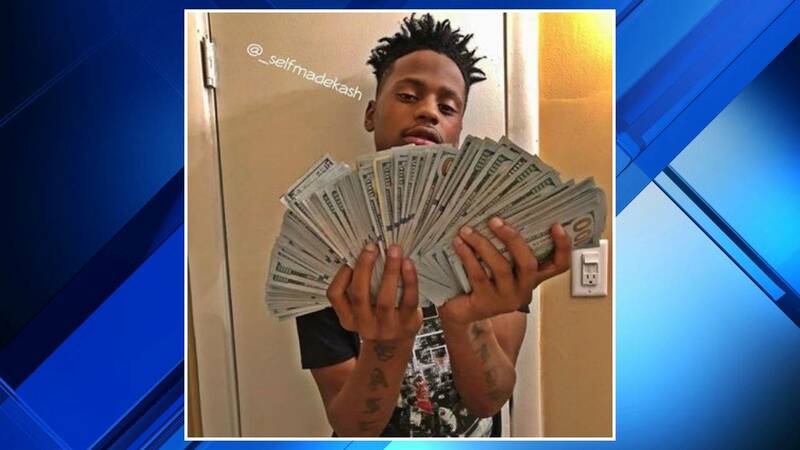 Authorities said Jonathan Woods, known as "Selfmade Kash," claims to be the greatest "swiper" of all time and charged others for information on how to commit identity theft and credit card fraud. "Woods claimed to be sophisticated at credit card fraud when, in fact, he is not," a charging document reads. Officials said Woods would post pictures and videos on Twitter and Instagram showing large amounts of money, credit cards and credit card skimmers to promote his ability to commit credit card fraud. "He also includes emojis for credit cards and a goat to represent the 'greatest of all time' and hashtags such as #Bins, #Bitcoins, #cvv, #dumpswithpin, #ScamLikely and #swipegoat," court documents said. Between May 2017 and May 2018, Woods devised a scheme to make money by selling his purported expertise on how to commit credit card fraud to people over the internet, officials said. He would tell them what bank identification numbers, or BINs, to use, but the information was actually worthless and many of the BINs didn't exist, according to authorities. Woods also caused the people who paid for his so-called expertise to transfer money to him through interstate wire services, such as Western Union and MoneyGram, officials said. Woods is accused of executing his scheme multiple times and causing money to be transmitted to a "James Green." Here are the dates of the alleged crimes. Dec. 20, 2017: MoneyGram payment of $400 to "James Green." Jan. 6, 2018: MoneyGram payment of $600 to "James Green." Jan. 21, 2018: MoneyGram payment of $400 to "James Green." May 1, 2018: MoneyGram payment of $500 to "James Green." Woods is charged with four counts of wire fraud in connection with the above incidents. He is also charged with possession of 15 or more unauthorized access devices for having a cellphone with credit and debit card information of other people without their knowledge, according to authorities. Officials also charged Woods with one count of aggravated identity theft. Woods is ordered to forfeit any money earned in the alleged scheme.